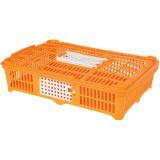 Ideal for transporting small game birds from the farm to the field-trial. 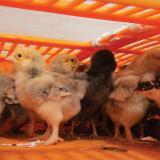 Can also transport baby chicks and other newborn poultry without fear of feet becoming entangled. Top and side doors offer convenient loading or unloading. 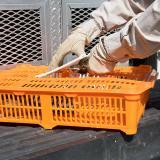 Stops birds from sticking their feet through the bottom grids and getting hurt. 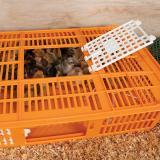 Works with more than just quail, can transport baby chicks and other newborn poultry without fear of feet becoming entangled. Limits manure build-up to the inside of the crate (not the truck bed). Easily rinsed out when birds are in the field. 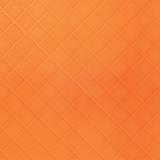 I have not used the crate yet. 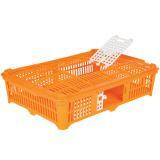 It looks well made, very pleased with the price compared to other places that sell the same crate. Nice size for quail works well. Works well. Top access door spring hinge is easy to operate, once you realize it is there.